A journalist working in ISIS-occupied Mosul in Iraq came close to serious harm when an ISIS sniper’s bullet narrowly missed him. Reporter Ammar Alwaely had been out taking footage on the streets of west Mosul when the ISIS sniper reportedly shot at him. 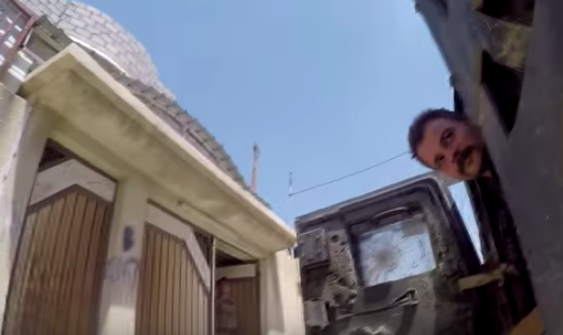 The bullet’s path was distrubed when it struck a GoPro camera which had been attached to his flak jacket. 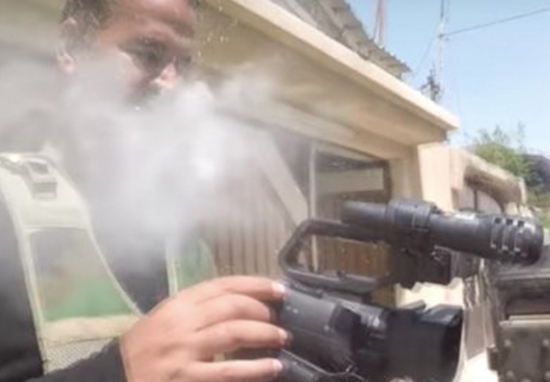 The dramatic footage of Ammar’s brush with death was captured by Owen Holdaway, a reporter for The Sun. Owen confirmed in the publication that Ammar had been put on a drip and advised to get some rest. 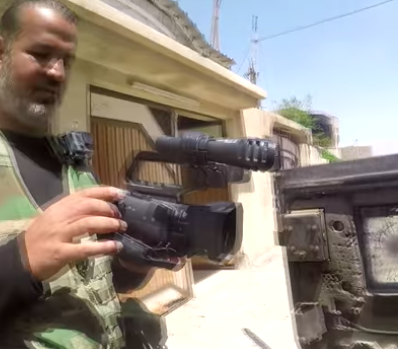 The footage show the GoPro being absolutely destroyed by the bullet; covering Ammar with pieces of plastic and metal. Off camera, a male voice can be heard saying, ‘Ammar, that was f*cking close, man’. The camera had been a present from one of his colleagues and ultimately saved his life. Although Ammar was treated for dehydration and some minor cuts, he was thankfully otherwise uninjured. Fearless Ammar appears surprisingly nonchalant about what would have been a very traumatic moment for many of us, even laughing a bit as he told Owen, ‘This is my blood on your face’. I knew immediately, if it had not hit the camera, or been a few inches to the right, it would have hit his heart, and be fatal. After 20 minutes [of rest], and obviously feeling a little better, he turned to me and said ‘thanks, for the GoPro Owen….can you get me another from Erbil (capital of Iraqi Kurdistan)’. I just shook my head and said, ‘Sure, mate’. Many of those who have watched the footage were shocked by just how close Ammar had come to life threatening injuries, with many remarking upon his extremely calm reaction. The craziest part about this is both the dude holding the camera and the guy in the car are just like ‘whatevs’ lol. I love how the man who just got shot asks the other guy if he’s okay then follows up with ‘that’s my blood on your face’. According to Reporters Without Borders, a total of 65 journalists were killed during the year 2017. These journalists were either killed while carrying out their work, for example, during an artillery bombardment, or murdered after angering somebody with their reporting. Since the year 2006, the United Nations (UN) has reportedly passed several resolutions to protect journalists, with many news organisations having implemented safety procedures.